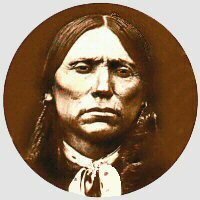 It’s clear that Donald Trump has come up against his Quanah Parker moment. 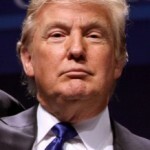 Whether Mr. Trump can lead the world’s most powerful nation as adeptly and imaginatively as the great Indian chief led his people, first in war and then in captivity, is still to be seen. 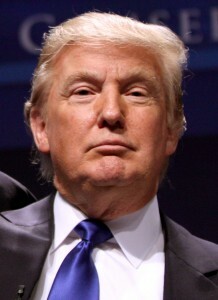 For all our sakes, The Donald is advised to give it his best shot. For me, the initial attraction of Gwynne’s masterpiece of historical storytelling was mostly the setting. The region once covered by the flat, endless, grass-carpeted expanses of “the Comancheria” provided the focus for the first third of my life. When a friend told me this book was the best ever written about the history of West Texas, I was intrigued. Then as I began to see how skilled this half-breed warrior was at switching back and forth between our Brain Technologies’ “Metanoics Circle” decision strategies, I was beguiled. And when it became apparent how closely Trump’s persona, appearance and behaviors mirror Quanah’s, I was riveted. Their houses. On his reservation land, Quanah built himself an extraordinary house: a ten-room, two story affair, with a wide, two-story colonnaded porch and enormous white stars painted on the roof. Their employees. Quanah hired white women to teach his wives how to cook and for then years, employed a Russian immigrant named Ann Gomez as his servant. 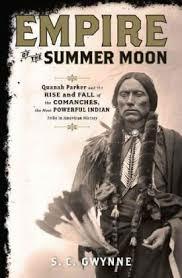 And yet, there are differences, and this is where Mr. Trump would do well to pay close attention to Mr. Parker’s example (Quanah insisted on adding “Parker” to his Indian name because his mother was a white captive, Cynthia Ann Parker). Quanah’s curiosity about the future. Says Gwynne, “[This] man who once rode free on the high and windy plains had also lived long enough to witness . . . astonishing technological advances. . . . He found it all fascinating. He wanted to try everything.” He was one of the first in his part of Oklahoma to have a telephone. He had a car. And he tried to found a viable railroad to the Pacific and loved riding in the locomotive. Quanah’s spirit of caring. One of his adopted white sons noted, “He had a great herd of cattle and horses in 1890 and when he died in 1911 he did not have many left because he was so generous. When a person became hungry he fed them.” His “bodyguard” and occasional driver of the old ambulance he used for a motor car was a Comanche named George Washington who was both deaf and unable to speak. That, too, is a powerful lesson that our new president-to-be can learn from Chief Quanah Parker of the Comanches. None of us are monkeys.